Yes, Nike goes straight to the emotions with their new Dream Crazy commercial narrated by Colin Kapernick, but they kick off the ad with Nyjah Huston. It’s now cliche when the Swoosh jumps in and opportunistically commodifies politics (they’re just shoes), but it will offer up more eyes on skateboarding than anything this side of the Tokyo Olympics. With Nyjah Huston’s ‘Til Death seared into our retinas we were reminded of how strange his trip really has been thanks to a profile by Lily Moayeri in LA Weekly. The profile covers all that and more, but we’ll let you read it yerself. 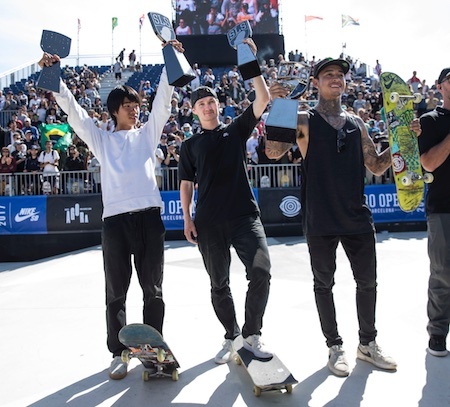 The 2017 Street League Skateboarding season kicked off last weekend in Barcelona, Spain with the third annual SLS Nike SB Pro Open and in no real surprise Nyjah Huston edged Shane O’Neill to take the title. Hitting all obstacles on the course, Nike SB Pro Nyjah Huston was performing as stong as ever, earning a score of 8.7 with a Backside 5.0 Grind along the round flat bar and into the small quarterpipe, a 360 Flip over the wedge gap, a Kickflip Backside Disaster on the quarterpipe, a Nosegrind Revert along the round flat bar and back to a Crooked Grind along the same, a Backside 180 Nosegrind on the volcano ledge, a perfect Backside 360 Kickflip over the wedge gap, and a Switch Nollie Nosegrind down the handrail. In other news, Yuto Horigome and Dashawn Jordan are now on the 2017 SLS Nike SB World Tour. Congrats to Dashawn, he’s been hard at it for awhile now. For all the details on Barcelona as well as news and dates for the rest of the tour, please follow the jump. 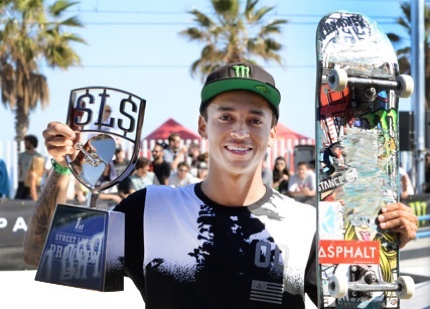 Nyjah Huston continued his seemingly unstoppable winning ways at the SLS Nike SB Pro Barcelona over the weekend. Yeah, Nyjah. Nothing screams success louder than a stable of expensive cars. And Nyjah Huston has apparently invested well in rolling stock. Here is an outtake from his recent photo shoot form Dub Magazine. Make of it what you will. Nyjah Huston puts down a backside 270 kickflip lipslide during practice in South Africa at the Maloof’s remaining skateboarding contest sponsored by Kumba Iron Ore mining. We all figured this would happen and it did. 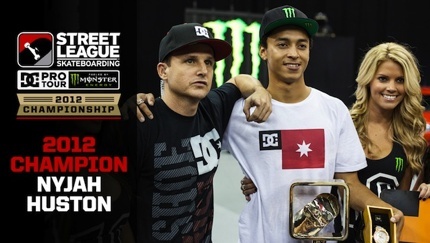 Nyjah Huston took the 2012 Street League Championships over Chris Cole and Chaz Ortiz and rolled away with $200,000 more. Guess the only one surprised about the win was Nyjah. A continuation of the Street League Firsts series Rob Dyrdek talks to Nyjah Huston about a few of his firsts. 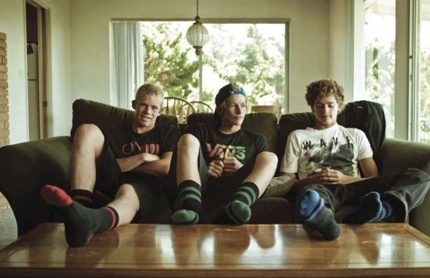 The Florence Brothers (2 John, Nathan, and Ivan) and Nyjah Huston have joined the Stance socks program. “We’re humbled and proud that these guys have decided to be a part of our family. John John and Nyjah seemingly mirror each other in their young competition dominance and credibility as well rounded individuals that truly love what they do.” stated VP of Marketing, Ryan Kingman.